We welcome the neverending flow of new crossbred strains. Patients are able to enjoy a vast spectrum of medical benefits, and connoisseurs bask in the diversity of their complex flavor profiles. For those only accustomed to plastic bags of nameless herb, signature varieties like Blackberry Kush and Red Haze introduce a new world of cannabis. But where did all these “Kushes” and “Hazes” actually come from? Historical documents from around the world, some dating as far back as 2900 B.C., tell us cannabis has lived alongside humans for thousands of years, cultivated for religious and medicinal purposes. Many growers believe the earliest cannabis strains sprouted in the Hindu Kush region of Afghanistan and Pakistan and eventually spread to other areas, including South America, Asia, Jamaica, Africa, and even Russia. We call these indigenous strains landraces. A landrace refers to a local variety of cannabis that has adapted to the environment of its geographic location. This accounts for genetic variation between landrace strains, which have been crossbred to produce the cannabis variety we see today. Landrace strains are oftentimes named after their native region (e.g., Afghani, Thai,Hawaiian), and traces of these forefather strains are sometimes detectable in the names of their crossbred descendants. A combination of environmental conditions and selective breeding by native populations gave rise to these stable varieties, the forefathers of all modern strains. Until its prohibition, cannabis remained a cultural cornerstone in these areas of the world. Ever wonder what to call all those tiny, sticky crystals that cover cannabis flower? Well, we’ve got an answer for you: kief. Simply said, kief (also known as dry sift or pollen) refers to the resin glands which contain the terpenes and cannabinoids that make cannabis so unique. While marijuana sans kief still contains cannabinoids, the resin glands that develop on flower buds pack the biggest punch. Many different plants and algae have external trichomes for specific evolutionary purposes. For example, some carnivorous plants rely on sticky trichomes to trap their prey. Other plants, like cannabis, use them as a deterrent to herbivores. Trichomes on the marijuana plant keep away hungry herbivores by producing an intense psychoactive experience, theoretically disorienting the animal and preventing it from eating the rest of the plant. The resin’s strong, distinct odor also attracts pollinating insects and predators, which might keep herbivore populations at bay. If you like the experience of concentrates but don’t want to break the bank buying expensive wax or extraction equipment, sifting kief might be a great alternative. Due to the high concentration of terpenes and cannabinoids in resin glands, separating kief crystals from plant matter is a great way to consume cannabis while reducing the amount of charred material you take into your body. Extracting kief is simple. Using a three-chamber herb grinder will help you finely grind your cannabis while letting kief crystals fall through a screen and collect into a small compartment. While two chamber grinders are nice, they often let potent kief go to waste since crystals fall off of the dried herb and just stick to the inside of the grinder. For extracting larger quantities of kief, using simple silk screening materials will allow you to separate kief from plant matter with the ease of sifting flower. Many people create makeshift sifters using layered screens similar to the ones pictured above. Because kief tends to measure between 75 and 125 microns, it can be difficult to separate all of the resin from the plant materials. To make sure you’re collecting the cleanest kief without unwanted plant matter, stack three to four layers of fine mesh screen one on top of another. For the best results, home extractors use consecutive sizes of screen and stack them in order from largest to smallest. When buying screens, the number of wires or threads per inch, or the LPI (lines per inch) number is an important thing to remember. The larger the screen, the smaller the LPI number. When it comes to sifting kief, mesh between 80 and 270 LPI tends to work best. When buying extracted kief at a dispensary or retail store, keep in mind that the purer the kief, the lighter the color will be. Kief that still looks fairly green means that there is still quite a bit of plant matter mixed in, whereas kief that has been well cleaned tends to be more of an off-white color. What’s the Deal with Hash? Extracting kief is one of the first steps of making hash. To simply summarize, hash is basically just kief that has been heated and pressurized to form a soft, green ball. Applying heat and pressure to kief changes its composition by rupturing the resin glands. Once the kief ruptured, the overall taste and effects of the product are slightly different. Pressurizing kief also darkens its color; the more pressure you apply, the darker the hash becomes. Kief may not be the most exciting cannabis product out there, but it still remains one of the most popular and easiest to access. For more information on kief and kief extraction, check out Ed Rosenthal’sBeyond Buds. In the meantime, be sure to pick up a three-chamber herb grinder if you’d like to get the most bang for your buck. For more posts like this, visit Leafly’s knowledge center right here. • Rule # 4: too much handling causes the trichomes to come off. The best way to store your medical cannabis is in an airtight mason jar that has a good seal. One of the old time dark colored cheese jars with the wire swing top is ideal if you happen to have one. They are ideal for keeping out air, heat and light. Store the jar in a cool dark place. You can store it in the fridge (not the freezer), but keep an eye out for mold. Fresh bud will actually “cure” better using this method, producing some sweet smellin’ buds! When your medical cannabis was grown, our growers waited until the trichomes were just right before harvesting to create the best potency possible from those plants. You want to preserve those sticky resin glands and handle them gently as they fall off easily. The two biggest myths about storing cannabis are that keeping it in clear plastic bags and freezing it helps preserve it, but these actions actually break most of the rules we mentioned earlier. When you freeze cannabis buds, those potent little trichomes become like tiny icicles. This makes them stiff and brittle and actually makes them fall off and break off the buds. The more you handle the buds in and out of the freezer, the more you lose those active ingredients that help alleviate the symptoms you ‘re trying to address. Also, all plastic bags have some static, and even this static attracts the resin glands that you are trying to protect and keep intact, which means you are reducing the potency slightly. If you must use plastic bags, use them seldom and for small quantities. If you don’t have a jar, you can put it in brown bags (or any dark paper), and then place it in your plastic bags and remove any air that you can. Refrigerate, or keep in a cool place (a basement works well) where there is no light and little activity – prevent any constant movement or handling. This will keep your medical cannabis both fresh and potent for a very long time. We at Substance also carry lovely Boveda packs which regulate the amount of moisture present in your cannabis storage area. 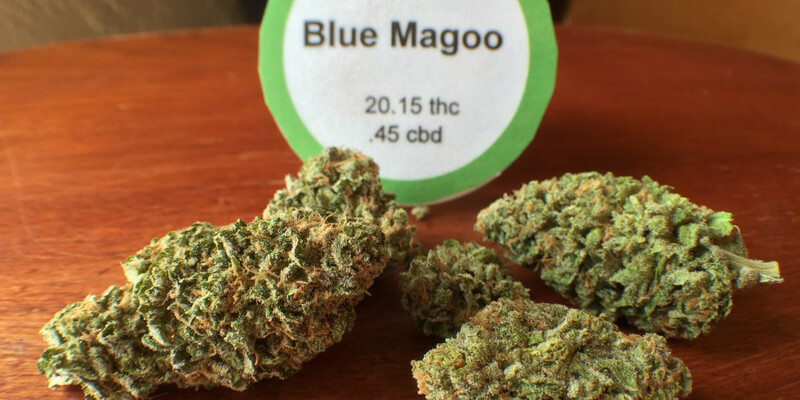 They’re very helpful in particularly arid or humid environments and are a viable option for anyone who wants to preserve more than a quarter ounce of cannabis flower. These guidelines also apply to concentrates—just use a smaller jar! To protect the potency and taste of your cannabis for long periods, smart storage is a must! Rough handling, heat, light and air exposure degrade trichomes! For more useful information regarding cannabis, visit Harborside Health Center’s website.